What steps are you taking to reduce shrink at your c-store? Let’s begin with a simple question. How many c-store operators would openly admit that they’ve increased shrink in their store? Probably not many. While industry trends show there’s definitely been improvement in this area over the past few years (due to a trend towards better inventory tracking), there are still plenty of operators that deal with higher shrink levels than they’d like on a regular basis. How do you keep your loss rates to a minimum? You’ve come to the right place. 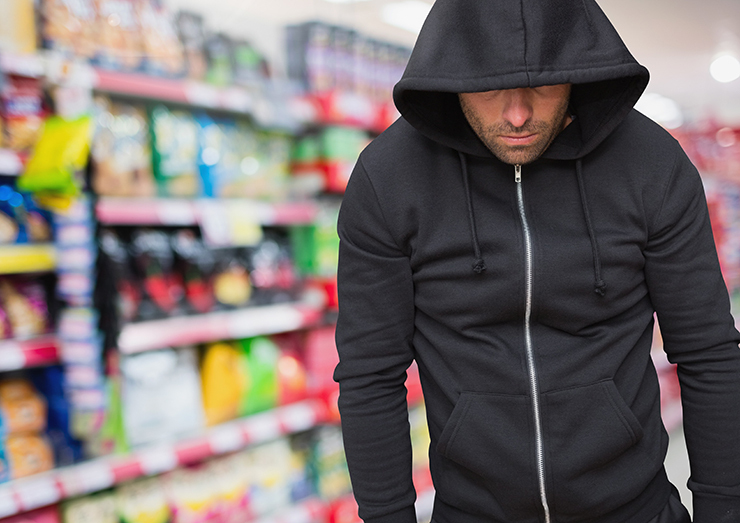 We’ve compiled a list of the top errors c-store operators mistakenly fall into, leading to increased shrink at their stores. Are you guilty of these same mistakes? One of the major errors c-store operators make within their business is a lack of customer service. This typically can be pinpointed to when the consumer enters the store. Bored, disengaged, unfriendly staff members miss important pieces of information – such as the once-empty stroller leaving with a shelf’s worth of items disguised as a sleeping child. Whoops. How do you solve this? Staff engagement with customers (offering a greeting, making eye contact, offering assistance) as they walk across the threshold of your c-store has a profound effect – the likelihood of a customer shoplifting from your store, post-staff engagement, decreases. When spoken to and made eye contact with, individuals react in a predictable manner: they feel recognized, acknowledge that staff is alert and attentive, and feel an increased likelihood of their actions being monitored (whether they are or not). A simple greeting has the added benefit of your staff and c-store becoming known as a friendly establishment while reducing the probability of theft. Have You Trained for This? The root of poor customer service may be due to a lack of training or ineffective planning on the part of store employees. When staff is ineffectively trained, they are unable to react to situations with the correct response. For example, during a delivery, a store employee accepts an order only to discover later that there’s been an error with the shipping quantity. Unsure of what to do, the employee does nothing and the store loses out on the revenue for those items. The cause in this scenario can be distributed across the board: the delivery error wasn’t caught appropriately by the employee, citing negligence on their part; the lack of the employee’s knowledge can be attributed to the equal lack of training received at the store; the delivery error in itself could be an instance of vendor fraud, which does happen occasionally (especially when combined with the above combinations). So how do you solve this? Run through various scenarios with your employees to make sure they’re prepared for any situation that may be thrown at them. This type of planning creates vigilant employees that can recognize the appropriate steps to take in order to correct an error or potential fraud. The design and layout of your store can guide customers to the products you want to sell most or lead them straight to the optimal path to rob you, without you even noticing. Going hand-in-hand with store layout is the level of cleanliness and visibility at your c-store. These contribute to the likelihood of shrink at your location as well. Stores with poor lighting, improper sanitation and irregular care speak volumes. What are. You communicating? “I don’t care about this store, so I don’t care what happens to this store.” It’s important to show that you do care. How do you solve this? Modify the design and layout of your store to increase the likelihood of purchases without the threat of shrink; position your high-cost and small grab-and-go items in view of the register; opt for shelving that doesn’t allow for an easy “sweep of the arm” into a bulky bag, purse, hoodie, or stroller; implement a very visible security monitoring device in areas hidden from view; and invest in the cleanliness of your location. When customers and visitors believe that you care about your store, they feel a decreased sense of opportunity to take advantage of your location. Again, no one wants to admit they’re increasing the shrink at their c-store. Just remember, a few simple changes can make a difference to your bottom line. Whether you’re prone to these issues or not, tracking your inventory is a sure-fire way to know how much of each item you have (or should have) in store. With a wide range of tracking capabilities and functionalities, PDI’s offers multiple solutions in this area. We can help you understand how and where your shrink issues are occurring and provide options to reduce these levels significantly. Did You Know: Your Source for PDI News provided by PDI, the leader in enterprise management software for the convenience retail and petroleum wholesale markets. Discover how PDI can help you thrive in today’s digital economy.